It has been 10 months since Backcountry Ascender officially launched at Hay Days 2016. Since then, more than 3,000 riders around the globe have been taking advantage of this free online provision. 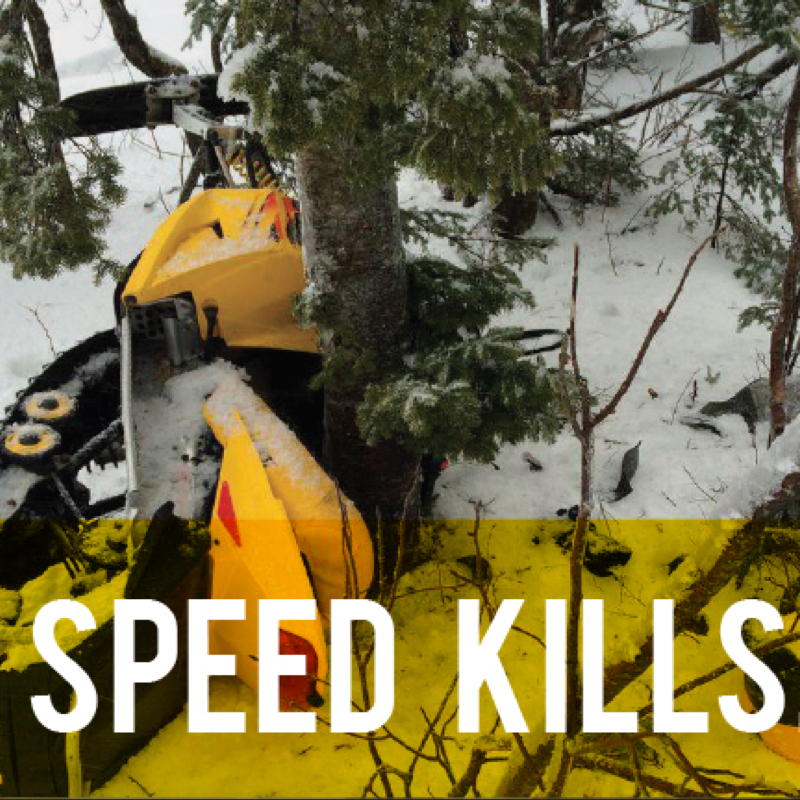 Ski-Doo Backcountry Expert Dave Norona was one of the early riders to advance through the program, and according to him, playing the game every week is a great way to keep your safety senses tuned throughout the season. “Going on the site is easy and you can do it in the comfort of your home,” he said. 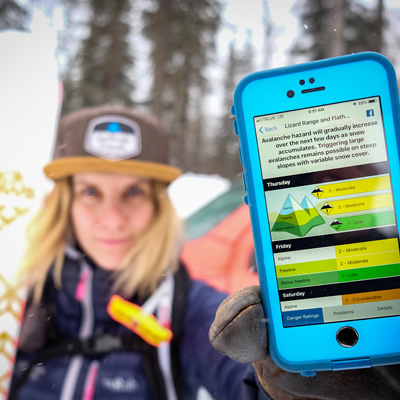 Backcountry Ascender tests your knowledge, helps you identify what you don’t know and it also encourages practise with your buddies—which is a crucial piece to the whole safety puzzle. 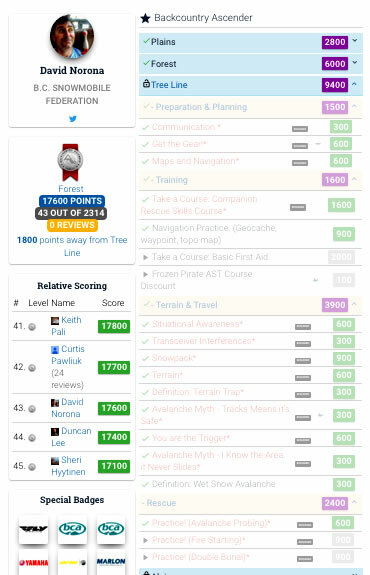 Players earn badges as they complete the missions and work through the levels. It is important to note that Backcountry Ascender wasn’t designed to replace formal avalanche training. In fact, players must prove that they have completed on-snow courses before they can move through higher levels in the game. 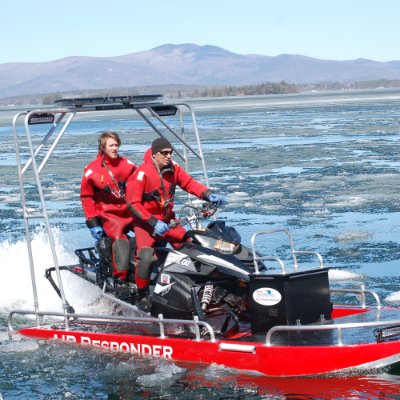 Over the years, Norona—who is a sledder as well as a seasoned skier—has completed several avalanche skills training courses, but his learning journey is far from over. “You can never know everything,” he said. 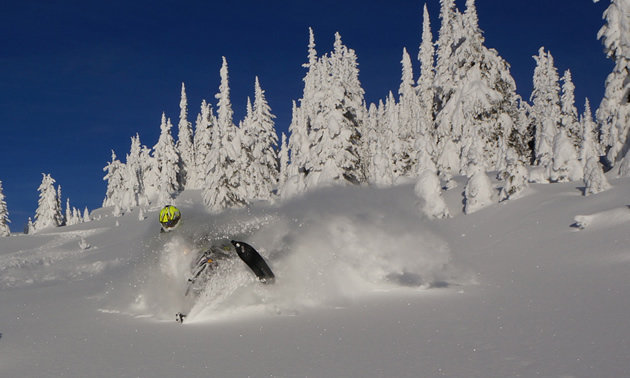 The developers of Backcountry Ascender join other industry professionals, such as Jeremy Hanke of Soul Rides and Curtis Pawliuk of Frozen Pirate Snow Services, who have been making a concerted effort this winter to reach out to the snowmobiling community. Visit the website to start playing or you can download the Backcountry Ascender app on your mobile device.